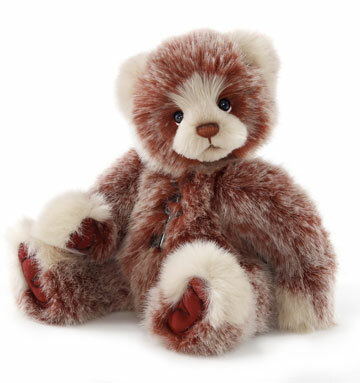 Bakewell is 12.5 inches, five-way jointed and handmade from ultra soft plush. Her fur is beautiful with tipping for added charm. Her unforgettable face comes together with a hand-stitched nose, subtle airbrushing and soulful glass eyes backed with felt disks for an adorable 'love me' look. 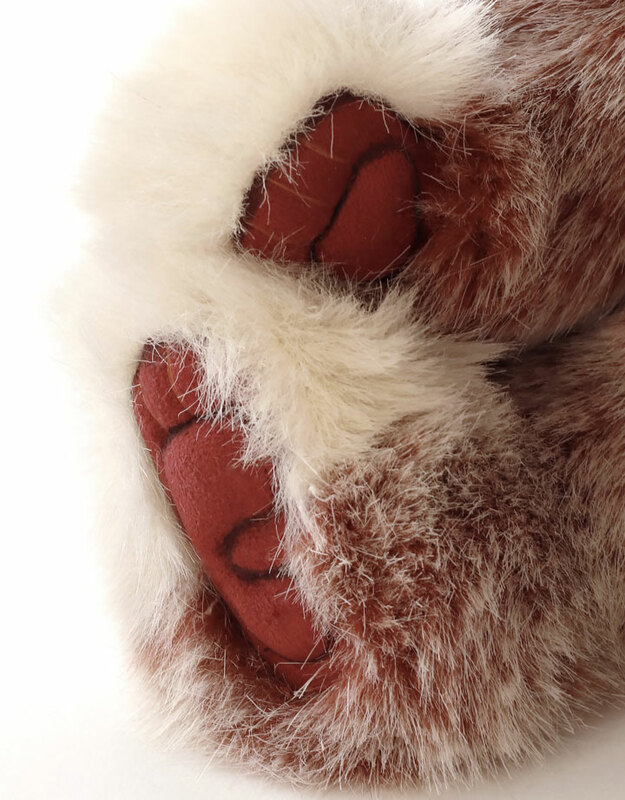 Bakewell has ultrasuede 'tickly toe' paw pads with embroidery, sculpting and airbrushed details. For a classic Charlie Bear touch, she wears a skeleton key necklace. A beautiful bear to snuggle and love. 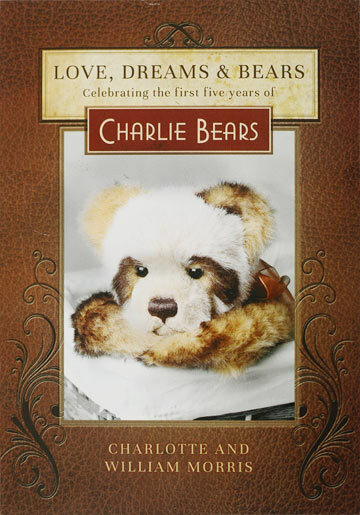 Charlie as you know adores creating bear friendships and often creates two little characters that have most certainly been designed to go together. Bakewell and Muffin are two of these bears. Part of the Guilt free treats miniseries little Bakewell and Muffin are now in the Charlie Bears Rumblin' Tums bakery on Prickly Pear Parade. 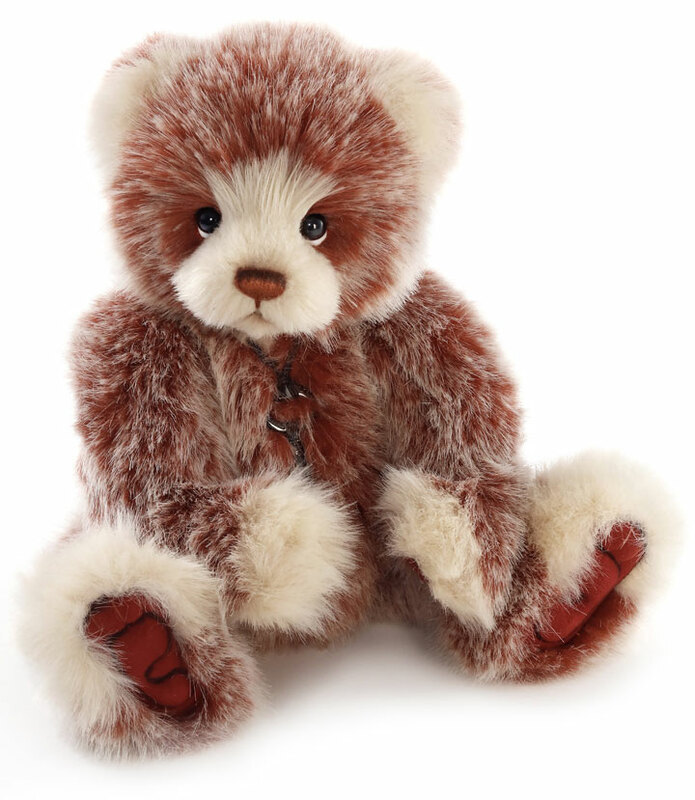 Bakewell Bear is part of the 2019 FOLKLORES & FABLES: Charlie Bears Collection. Suitable for ages 3 years and up. 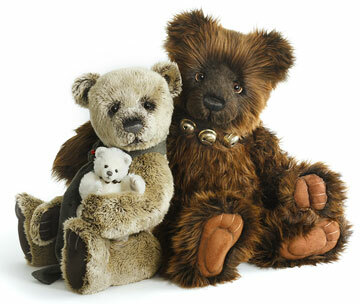 Charlie Bears best friends Muffin and Bakewell are each sold separately.